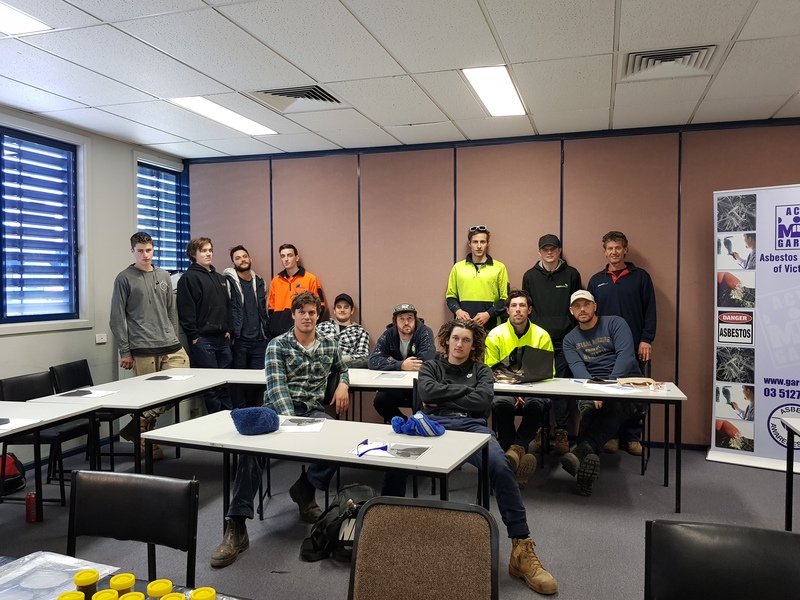 Friday 24th August saw Vicki and Dorothy travel to the Chisholm TAFE at Frankston to deliver an asbestos awareness session to a great bunch of apprentice plumbers. 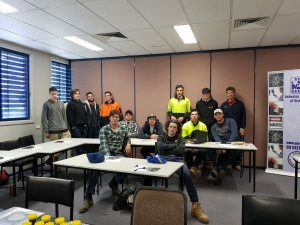 This is the first session of 7 others over the next 7 weeks – hopefully seeing about 120 apprentice plumbers in that time. The session was engaging with lots of questions and stories of what the apprentices were already finding in the area of asbestos in their chosen profession. We were very much struck by the professionalism of the apprentices and the way they conducted themselves in the interactive session. We would like to thank Steve the trade teacher who helped to make the session a great success for all who were there. Thank you to Greg for arranging for us to come and deliver this very important topic to the apprentices. We are looking forward to our next session with another great bunch of apprentice plumbers.